Linus Van Pelt, of Charlie Brown fame, once eloquently stated there are three things he's learned to never discuss with people: religion, politics, and the Great Pumpkin. Motorcycle riders have similarly found themselves discussing a taboo subject you're likely to take a firm stance on, never to be swayed by any arguments from the opposition. Dark siders are a growing group of passionate bikers who swear by the practice of replacing their conventional rear tires with one meant for automobiles. An article in Rider Magazine went as far to call dark siders an evangelical group that closely resembles a religious movement. 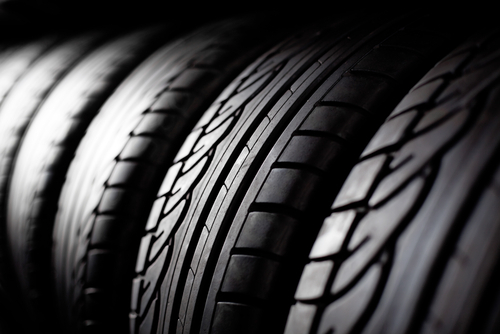 The most common arguments dark siders convey when speaking about their passion is that car tires are more economical and safer than motorcycle tires. But purists will likely never embrace this practice and continue to view Dark Siders as impostors in the biking world. U.K.-based TrafficSafe urged bikers not to install car tires on their motorcycles as part of National Tire Safety week in 2012. The organization specifically pointed out how an online retailer recommended Michelin tires, particularly the 195/55R16, for Goldwing and Valkyrie motorcycles. The website said the practice is safe and can even improve handling, which TrafficSafe said is false. TrafficSafe specifically pointed out how motorcycle and car tires are constructed differently, with the latter not being built for cornering on a two-wheeled conveyance. TyreSafe, another U.K. organization, took it a step further saying car tires on a motorcycle can lead to unpredictable handling that can result in serious injury or death. A 2009 article in Motorcycle Cruiser magazine repeated most of these sentiments. It acknowledged the number of people turning to the Dark Side has grown substantially in recent years. But motorcycle manufacturers have tested car tires on their bikes and warned against the practice due to the inherent dangers. Most motorcycle service centers refuse to do such modification because of potential legal issues that can arise in the even of an accident, the article stated. David Hatton, a Honda Goldwing GL1800 rider and member of the Gold Wing Road Riders Association in Ontario, took to an online forum to share his experience replacing his rear tire with a car snow tire. He cited increased load capacity, smoother ride, longer tire life, and lower price as his primary reasons for going to the dark side. Motorcycle tires, he said, have not progressed like car tires, particularly when it comes to run-flat technology for a safer ride. Cornering and the contact patch of tires seem to be the biggest issues for those who vehemently oppose dark side riding. One dark sider posted two Youtube videos: the first showing a bike with a motorcycle tire taking a sharp corner, and a second video showing another bike taking the same corner at the same speed with a car tire. Though the contact patch appears to be the same, motorcycle purists who commented on the videos picked it apart and resorted to ad hominem attacks directed at the videos' creator. Daniel Meyer, author of the "Life Is A Road" motorcycle book series, pointed out the simple economics of dark siding. Motorcycle tires cost around $200 and last only 8,000 to 10,000 miles, whereas car tires cost about $90 a piece and last for 70,000 miles. Bikers have always embraced the nonconformist lifestyle. But dark side riders will inevitably become the targets of harsh criticism from their purist counterparts. It ultimately comes down to personal choice and finances. Some insurance companies may not cover a dark side bike, while people hurt in potential accidents could target you for riding with tires not meant for the motorcycle. The dark side debate is one that is not going away anytime soon, and one that is fruitless with anyone who strongly leans to one side or the other. But do yourself a favor and learn about the dark side before blindly insulting it as so many veteran riders do.